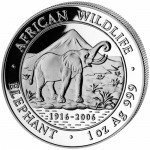 The African Wildlife Series of coins is struck each year by the Bavarian State Mint on behalf of the Republic of Somalia. The purpose of the series is to call attention to the native species of the African continent. The Silver Somalian Elephant Coin is among the most popular in the program. 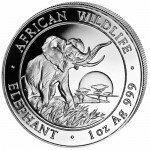 Today, you can own this coin with purchase of the 2015 Silver Somalian Elephant Coin set from Silver.com. 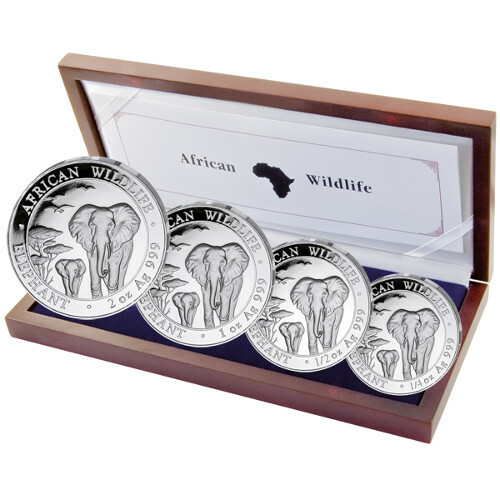 Each coin in the set is available in proof condition and includes a 2 oz, 1 oz, 1/2 oz, and 1/4 oz coin. 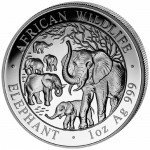 Capitalizing on the increasing collector demand for Silver Somalian Elephant Coins, the Bavarian State Mint has released this unique four-coin set for 2015. 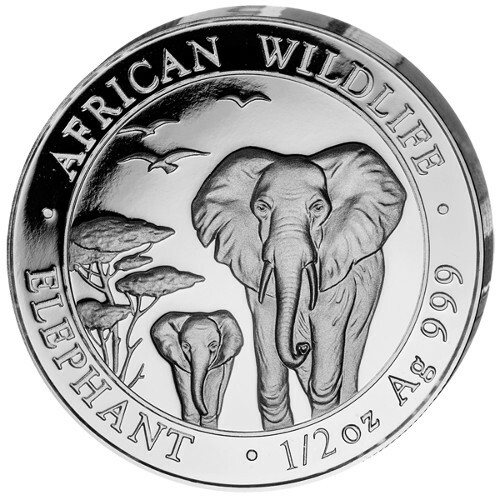 Each of the coins in the set is uncirculated, indicating that the coin’s surface is free of any sign of wear and tear. The four coins in the set consist of a 2 oz, 1 oz, 1/2 oz, and 1/4 oz denomination. The set also includes a commemorative wooden box to display the coins. The Bavarian State Mint selects a new image for use on the reverse side of the Silver Somalian Elephant Coin each year. In 2015, two large elephants are featured walking in a line across the savannas of Africa. The background consists of birds in the sky and a lone tree rising upward in on the left-hand side. 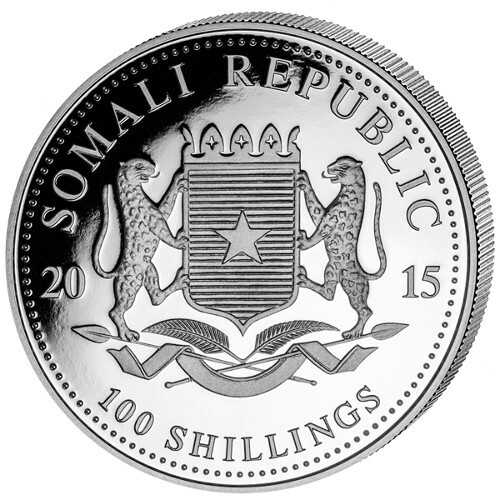 The obverse side of the coin holds the same image each year, that of the coat of arms for the Republic of Somalia. Germany’s Bavarian State Mint is one of the nation’s five primary, state-controlled minting operations. The Bavarian State Mint is a state-owned entity in the Free State of Bavaria and is the oldest company in the city of Munich. It produces collector coins, medals, and seals for its own country as well as nations across the globe. 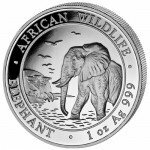 If you have any questions about this 2015 African Wildlife Series Coin Set or the Silver Somalian Elephants in particular, we encourage you to contact a Silver.com associate at 888-989-7223. Our staff is also available online using our live web chat and email services.